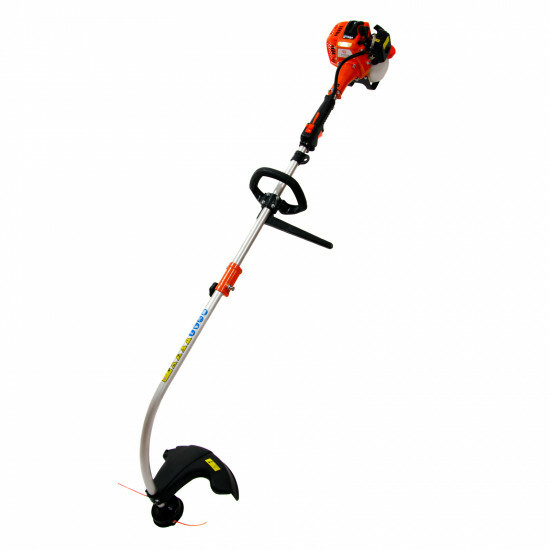 The Parker 26cc Garden Line Trimmer is an essential piece of garden maintenance equipment. It's particularly useful if you have a large area that needs regular maintenance such as a verge or a grass path through a meadow. This Parker 26cc Garden Line Trimmer is powerful yet lightweight and makes light work of tall weeds and scrub. It has been ergonomically designed for easy use and, thanks to the position of the handle, is comfortable to use over long periods of time. This garden line trimmer has a split shaft design so that it can be easily stored in your shed.